In January, ride-sharing company Lyft announced that they had doubled their total number of rides over the past year, with a total of 375.5 million rides in 2017, up from 162.6 million the previous year. 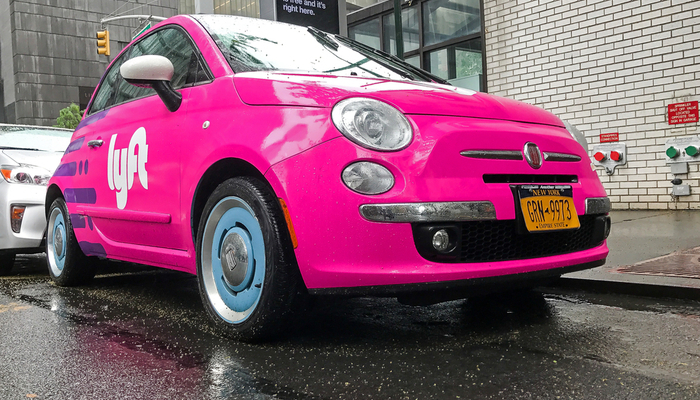 Lyft also expanded its reach within the U.S. in 2017: 95% of the population now has access to Lyft, compared to 55% at the start of the year, which was made possible by the company doubling its drivers. Lyft’s exponential growth has taken place in the context of the recent public relations troubles of their main competitor, Uber. Uber’s 2017 began with the #deleteUber campaign, a response to allegations that Uber attempted to profit from a strike by the Taxi Workers Alliance in New York City, protesting President Trump’s Muslim ban. This incident came shortly after the news that Uber’s CEO Travis Kalanick had agreed to join Trump’s business advisory board. Brand heritage is invaluable in terms of top-of-mind brand awareness. When you think of jeans, you think Levi’s. 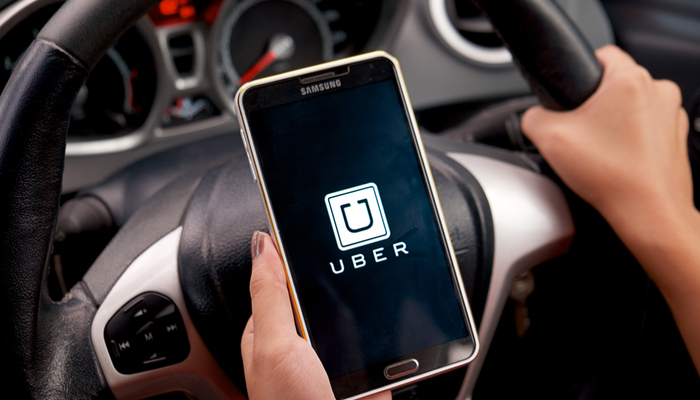 Controversy continued to stalk Uber throughout the year. In February, Susan Fowler, a former engineer with the company, went public with complaints about the company’s culture of sexual harassment, which resulted in a high-profile internal investigation led by former U.S. Attorney General Eric Holder. That same month, Google’s parent company Alphabet sued Uber, alleging that Uber had stolen self-driving car intellectual property. In May, it was revealed that the Department of Justice was investigating Uber for utilizing so-called “greyball” software to evade regulators. Finally, in June, Kalanick was forced to resign as Uber’s CEO. But despite Uber’s terrible year (they reported $1.46 billion in losses for the third quarter alone), Uber still retains a 77% marketshare of the ride-sharing category. It also has overall profits and a global presence—Uber operates in 83 countries—that Lyft cannot touch. The trajectories of these two companies can teach us a lot about how companies succeed and fail in the sharing economy. They also tell a story about how past corporate misdeeds can dictate a company’s future. Back in 2009, Uber was just a local San Francisco startup with a powerful insight: Taxi companies were stagnant monopolies ripe for disruption. In large cities, taxis and livery services were dirty, unreliable, and often involved annoying levels of haggling or confusingly opaque pricing practices. In smaller cities and towns, local taxi services were often too scarce or spread too thin to provide timely service; this scarcity also often resulted in prohibitively high fares. 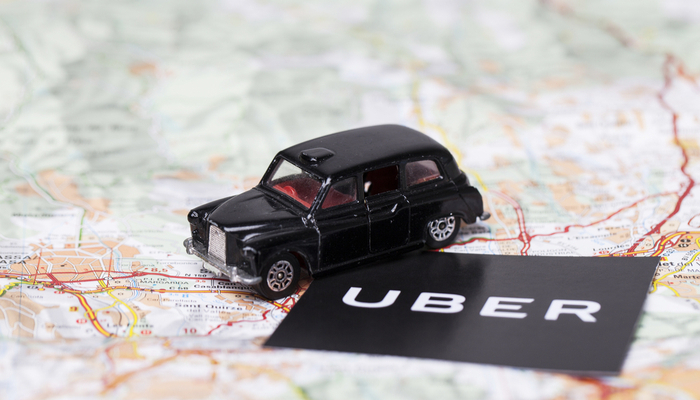 Uber entered the marketplace and introduced a convenient solution for each of these problems. The question now is to what extent will customers be loyal to the inventor of a category? The story of Levi’s is an interesting test-case. Back in 1853, when Levi Strauss first added rivets to indigo dungarees, he was simply solving a problem and satisfying a need in the marketplace. That initial innovation, that first solve, made Levi’s synonymous with denim jeans around the world for more than a century-and-a-half. Sure, they’ve lost marketshare along the way to brands such as Lee or Wrangler—more recently to boutique brands such as Rag & Bone, A.P.C., and Acne—but after an up and down last decade, they managed to record a profit in each of the past four years. And according to the Brand Intimacy metric devised by MBLM, which measures the strength of the emotional bonds between consumers and brands, Levi’s still ranks in the prestigious top twenty, alongside Nike, Hershey’s, and Ford. Brand heritage is invaluable in terms of top-of-mind brand awareness. When you think of jeans, you think Levi’s. Likewise, when you think of ride-sharing, you think of Uber. The rest, to some extent, is just noise. However, noise is exactly how smaller competitors such as Lyft begin to nip at the heels of giants like Uber. It’s important to remember that, in this context, “noise” isn’t just bad PR—it’s the doubts and questions that arise from the bad PR that can begin to eat away at a brand’s dominance. For Lyft, it was the complaints about Uber’s “surge pricing,” which sometimes entered the realms of the ridiculous. Lyft also has what it calls “Prime Time,” but it made sure that the affected areas are much smaller than Uber’s. For this reason, many passengers in big cities traveling during rush hour choose Lyft as their go-to ride-share service. “Noise” isn’t just bad PR—it’s the doubts and questions that arise from the bad PR that can begin to eat away at a brand’s dominance. The noise around “surge pricing” was also part of a larger cloud of cacophony that began to hover over Uber. Even though it had started out as a plucky startup just like Lyft, Uber was now the established power, “the man,” a corporate behemoth that began to lose its connection with the wants and needs of its passengers, and “surge pricing” was just one example of this. Lyft began to lean-in on the personal, touchy-feely aspects of the ride-sharing business. For example, Lyft suggested that riders sit shotgun, which they claim makes the whole experience feel more like a friend giving you a ride than an impersonal transaction. This was part of a larger move on Lyft’s part to make their drivers feel like real human beings instead of just someone providing a service. 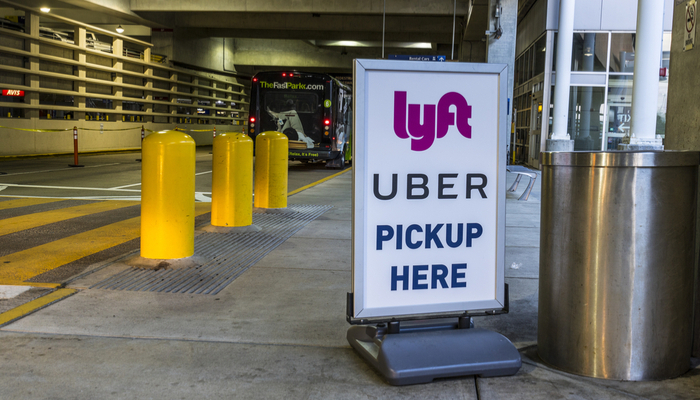 The idea was that Lyft’s concern for their drivers, in contrast with Uber’s deteriorating relationship with its own drivers, would create a warmer, more caring brand image. Unlike Uber, Lyft’s app also gives riders the option to tip the driver (and their drivers keep one-hundred percent of their tips), as well as split a fare among passengers. Lyft’s choices have paid off. 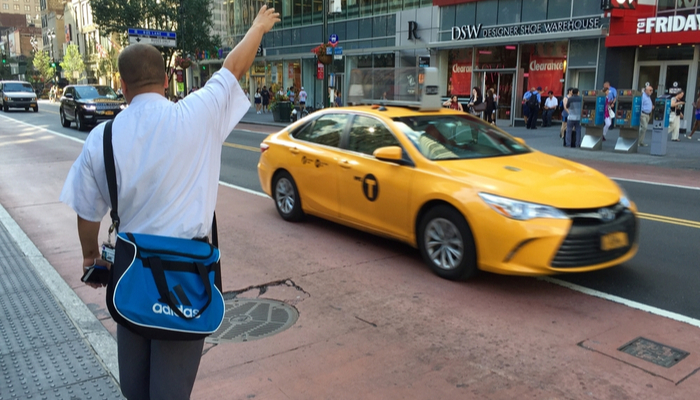 No matter your politics, Uber now carries around the stench of a bad corporate citizen. Lyft, on the other hand, received free advertising from celebrities such as Tyler Ferguson after it donated $1 million dollars to the ACLU. Right now, the main arena of competition between Uber and Lyft is the future of self-driving cars. Both companies are heavily invested in the driverless future. However, Uber is still locked in the aforementioned legal battle with Alphabet over allegations that a former employee of Waymo, Google’s self-driving technology company, stole 14,000 pages of IP and then used those trade secrets to start his own self-driving car company, which Uber then purchased mere months later. Alphabet’s gamble is based on the belief that Uber is not Levi’s but instead PalmPilot and that, in the end, Lyft’s superior consumer-focused corporate culture will prevail. This controversy is particularly important because it has forced Uber to the sidelines—and rendered much of their investments in this area either frozen or totally sunk costs—while Lyft races traditional auto manufacturers, such as General Motors, to the finish line. Investors have been backing Lyft in this competition; in a delightful bit of irony, Alphabet recently led a $1 billion funding round for Lyft. In addition to dumping money into Lyft, Alphabet has partnered Waymo with Lyft in a bid to have a hand in future self-driving car market dominance. Most consumers will simply not be able to afford or maintain self-driving cars, giving gas to the idea that everyone in the future will be using a self-driving version of a ride-sharing car, which makes partnering with a mobility company like Lyft a natural pairing for Alphabet. Alphabet’s investment in Lyft also signals something even more powerful to investors: They are backing Lyft as the future winner in its battle with Uber. While they certainly have skin in the game—via Waymo, they are demanding more than $2 billion from Uber over the IP snafu—Alphabet’s gamble is also based on the belief that Uber is not Levi’s but instead PalmPilot and that, in the end, Lyft’s superior consumer-focused corporate culture will prevail.